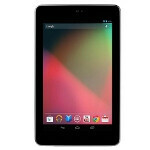 Here's something for Google Nexus 7 owners to look forward to. 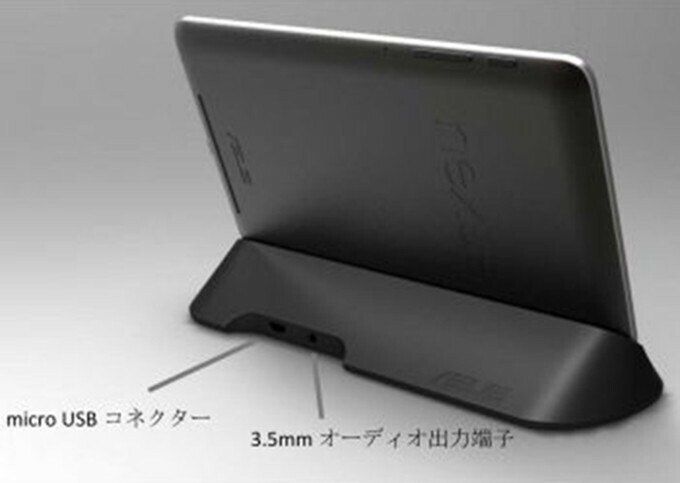 The ASUS Japan website reveals an upcoming audio docking station for the Google Nexus 7. The dock offers a USB port and a 3.5mm jack and the tablet plugs into the dock in landscape orientation. It will sell for 3,480 Japanese Yen which sounds like a lot of money, but is equivalent to just $41 USD. The docking station will be offered for sale in the beginning of next month. After all, why miss out on the all important holiday sales? Meanwhile, the Google Play Store has all three variations of the tablet in stock, ready to ship in 3 to 5 days. That would be the 16GB model, the 32GB model and the 32GB Wi-Fi and cellular version. No sense in buying the dock without the tablet. We have no word yet if the dock will be made available in the Google Play Store, but that would seem the obvious thing for ASUS and Google to do. Finally! I've been wodering what the pogo plug on my n7 was for since July. Samsung STILL has us wondering what the pogo contacts are for on the VZW Galaxy Nexus. Props to Asus. Really, this happens NOW and didn't happen before Wow. great idea but i wish it had 2 usb ports a battery in it and a micro usb to charge the dock/tablet .. off topic> PA please fix the full filter in the phone finder!!! and still no HDMI... I hate docks like this... I absolutely LOVE the dock for the Galaxy Note 2, USB, Audio, HDMI, and sync... All-In-One! Too late, I've already bought a case for it. I'm excited for this, LOVE my N7 and a dock would just make it complete. Don't. That is what I'm getting for her.